When it comes to Fall photography in the Washington, DC area, a lot of attention is understandably focused on the mountains of Virginia. Skyline Drive in Shenandoah National Park is a short 2-hour drive from Washington and you can see red, orange, and yellow treetops for miles from dozens of scenic overlooks. 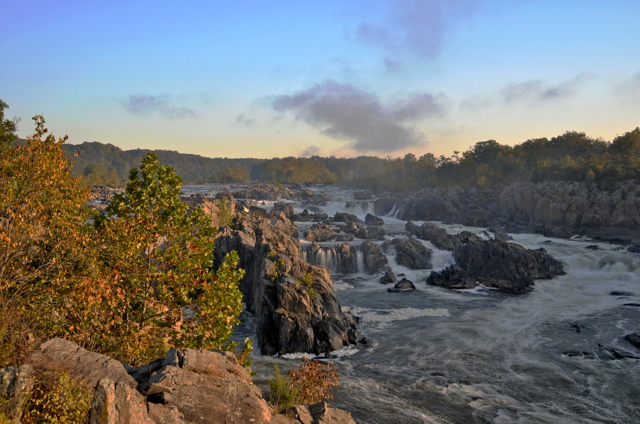 A day-trip through Virginia may not fit into your itinerary, however. 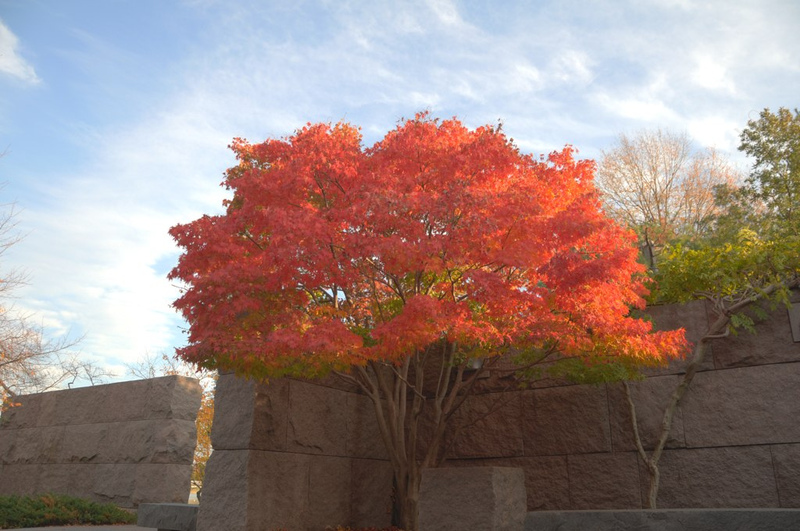 Luckily, there is an abundance of Fall color within the beltway (and just outside it). During my first Autumn in DC, my lack of knowledge and people’s horror stories about traffic along Skyline Dr. kept me close to home, but I managed to stumble across some beautiful foliage anyway. Below, I share what I learned last year as I prepare to widen my horizons this year. I’m from the Midwest where the leaves begin to change in early September. I was surprised that Fall hits the mid-Atlantic almost 2 months later. 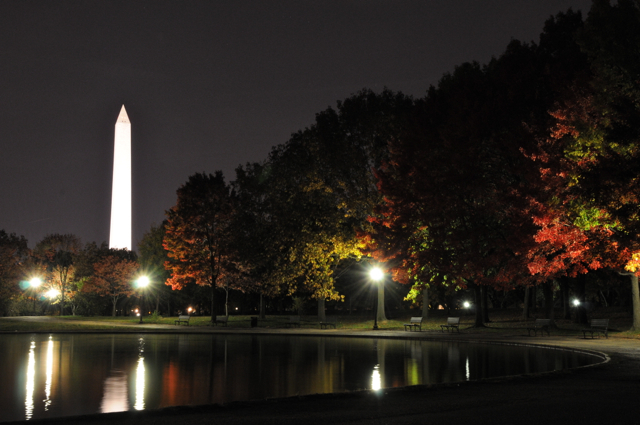 Though temperature and precipitation may cause the peak leaf color timing to vary, the best time to view leaves in the Nation’s capital usually falls between November 1st and the 15th. Some of my best pictures were taken in late October. As for time of day…sunrise and sunset are nice, but what you really want is a day with a bright, overcast sky. This will give you the maximum level of saturation in the colors, and the color is really what it’s all about. I never would have thought, but night pictures incorporating fall leaves can be quite striking, so long as there is sufficient light. Some of my favorite pictures from last Fall were taken after sunset. There are, of course, more trees than this around the DC area. These are just the places I’ve been. 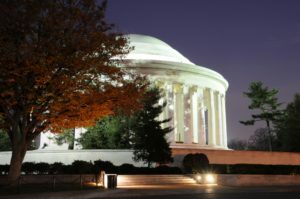 Additionally, the National Arboretum is an obvious choice, the area around the U.S. Capitol has plenty of great backdrops for Fall photos, the National Mall is lined with beautiful trees, and there are plenty of city and state parks nearby. 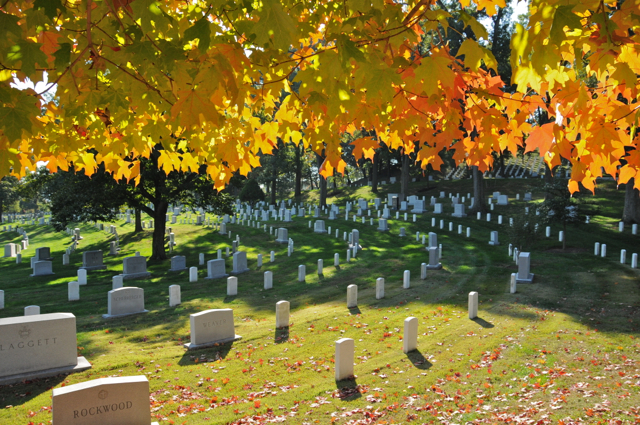 As I tour these other places, I will add to this post to give you a comprehensive list of beautiful Fall photo locales in and around DC. Lens: The photographic opportunities are as varied as the locations, thus, a wide variety of lenses and focal lengths may be appropriate depending on your creative desires. The majority of my pictures were taken with an 18-200 mm lens because that is what I have on my camera most often. I did take several with a Tamron 90mm macro lens. Additionally, a wide-angle lens (which I didn’t have last year) could be appropriate for some of the more open areas such as Great Falls Park, Constitution Gardens, or the National Mall. 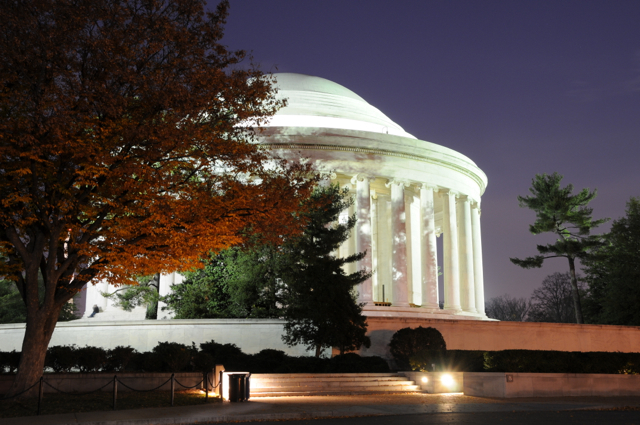 Tripod: For the majority of Fall pictures you take in DC, a tripod won’t be necessary. If you find a bright, overcast day there is sufficient light to take pictures at high shutter speeds. If you want to try your had at night pictures however, it goes without saying that you’ll need some way to stabilize the camera. The picture from Constitution Gardens above, is a 10 second exposure; far too long for even the steadiest of hands to take a sharp picture. Filters: One solid piece of advice for anyone wishing to take Fall color pictures is carry a circular polarizing filter. In addition to color saturation, the circular polarizer cuts down the reflections from leaves that may be wet or just naturally shiny that can cause blowouts. Also, if you’re heading to Great Falls Park you may want to bring along a neutral density filter so you can draw out your shutter speed and blur the moving water. Via Outdoor Photographer Magazine: You don’t have to rely on pure luck to find a perfect Fall scene; you can create one. 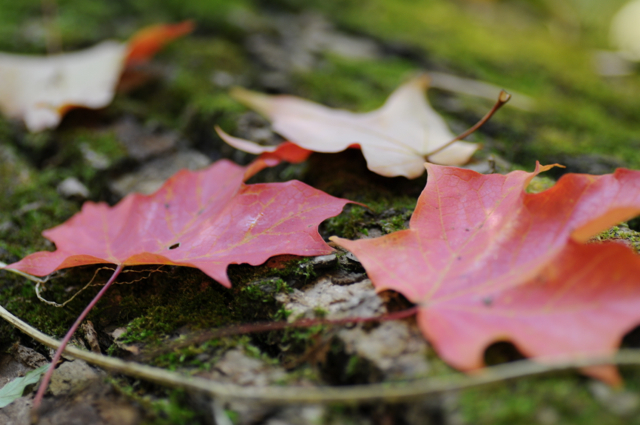 As you walk, gather a few picturesque fallen leaves, find a good location, and lay them out how you want them. Be sure you don’t put them all colorful side up or else the scene will look staged. 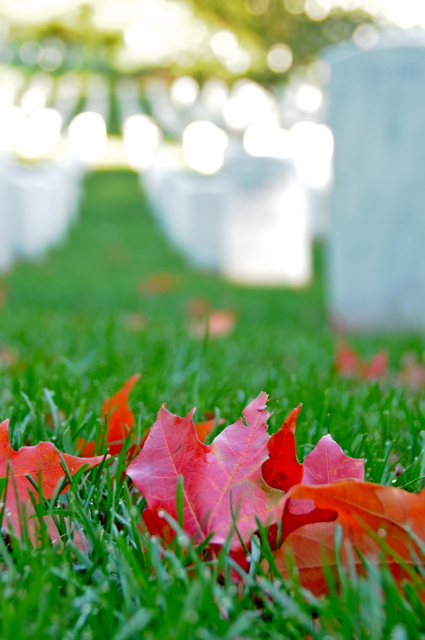 About.com – This site provides a number of ideas for places to view leaves, including DC, Maryland, and Virginia. Tripcart.com – Another great resource if you scroll down past the ads. For those venturing out to suburban Virginia, I would suggest Burke Lake Park in (you guessed it) Burke, VA. The large lake is surrounded by foliage that makes for a very beautiful landscape scene full of fall colors and reflections in the water. Thanks for the suggestion Eric. I will probably check this out this Fall. I’ve been meaning to make it to Mount Vernon and Burke is a short jaunt from there. That’s make for a good day I think. Great post, Brandon. Autumn is definitely DC’s season.